People often think of fish as relatively low-maintenance pets. While it’s true that you don’t need to take your cichlid on a daily walk around the block, caring for an aquarium and its inhabitants still requires daily effort. In addition to your effort, you’ll also need several pieces of equipment to properly care for your fish. 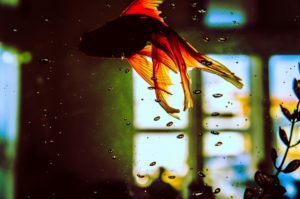 Beyond your filter, lights and heater, here are 7 essential items you should have according to Delaware’s favorite aquarium installation company, Armco Aquatics. It’s critical to keep a close eye on the pH, nitrites and nitrates early on to make sure ammonia levels don’t get too high in the first few days. Once your aquarium is established, you can reduce your testing frequency. How you test is up to you; some people prefer built-in testing options and other opt for single-use test strips. It all depends on your preference, but if you’re unsure, your local aquarium installation expert can help you decide. If you’re using tap water to fill your aquarium, you need to use a water conditioner to make it safe for your fish. Water conditioners remove chlorine and neutralize heavy metals in the water. You’ll need to use conditioners during set up and any time you add a new fish. After your aquarium installation, it’s important to keep it clean. One way to do that is to keep your aquarium free of algae build-up. There are lots of tools available, including simple scrubbers, algae reducing solutions and even magnetized brushes. It’s the lowest tech item on our list, but a designated water bucket is absolutely vital to a well-maintained aquarium. Make sure you have a clean bucket to transfer water into your tank. A steady temperature is critical for your fishes’ health, so you’ll want to get a thermometer right away. 77 degrees is optimal for many fish, but be sure to confirm the ideal temperature for your particular fish. You definitely don’t want to have an aquarium full of hungry fish! Just keep in mind that most fish only need to be fed once or twice a day. And, keep the feedings short and sweet – they should be able to eat all the food you’ve given them in under 5 minutes. If you’re in Pennsylvania, New Jersey or Delaware, give us a call at 1-877-ARMCO-11 or email us to schedule an appointment to discuss your upcoming aquarium installation.